This package is required for Online Sellers who are established out with the EU and require to complete VAT compliance service in the EU. It is necessary to appoint, in some EU countries a fiscal representative. Please contact our relevant country advisors. In addition to our core services, we can, of course, provide further support on request. Online retailers based outside of the EU who are using Fulfillment by Amazon (‘FBA’) face differing obligations to those resident within one of the 28 states of the European Union. The good news is that they can still sell to consumers without forming a company in the EU, but they will still need to register for VAT in the countries where they are selling. The exact requirements for non-EU FBA retailer depend on where the goods are being dispatched from when a customer makes an online order. Goods outside of the EU – If the goods are held at the non-EU seller’s location, then the goods have to first clear through EU customs. The seller can do this when the goods arrive at an EU country for the first time. They can pay the import VAT and customs duty to bring the goods into the EU for onward delivery to their customer. If the seller wants to reclaim the import VAT, then they must VAT register in the country where the goods are being cleared. Otherwise, the seller must absorb the import VAT as a cost, as well as the import duty. Alternatively, the non-EU seller can force their customer to settle the import VAT and customs duty. Typically the delivery agent will charge the customer this amount before they hand over the goods. Whilst simple, this does often deter customers from repeat business with sellers. 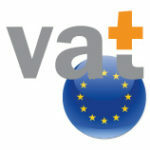 Goods inside the EU – If a non-EU seller want to hold stocks of goods in the EU at an Amazon warehouse, this will require a VAT registration in the country of the warehouse. The seller can then use this number to sell the goods to EU consumers. Once the seller exceeds the distance selling thresholds, they will have to register in more EU countries. WHAT ARE THE TASKS OF A TAX REPRESENTATIVE? A tax representative carries out on your behalf all the formalities required for registration for VAT purposes (drawing up forms and registration documents related to VAT tax, ordering translation services, support with procedures until the receipt of a local VAT number). Duties of a tax representative include: submission of VAT tax declarations (both VAT declarations, as well as, recapitulative intra-Community statements), submission of requests for tax refunds, submission of statistical declarations (Intrastat) and managing VAT payments (informing clients on the amount of VAT due). A tax representative ensures compliance with tax regulations beginning with the analysis of a given case, through the control over correctness of documents and ending with the provision of information about all of the obligations of the taxpayer on an on-going basis (issuing invoices, amendments to regulations, …). A tax representative manages all correspondence and exchanges with tax authorities and is also present to assist, at the client’s request, during a tax control.